The list of reasons summer in Toronto is incredible seems to be never ending. 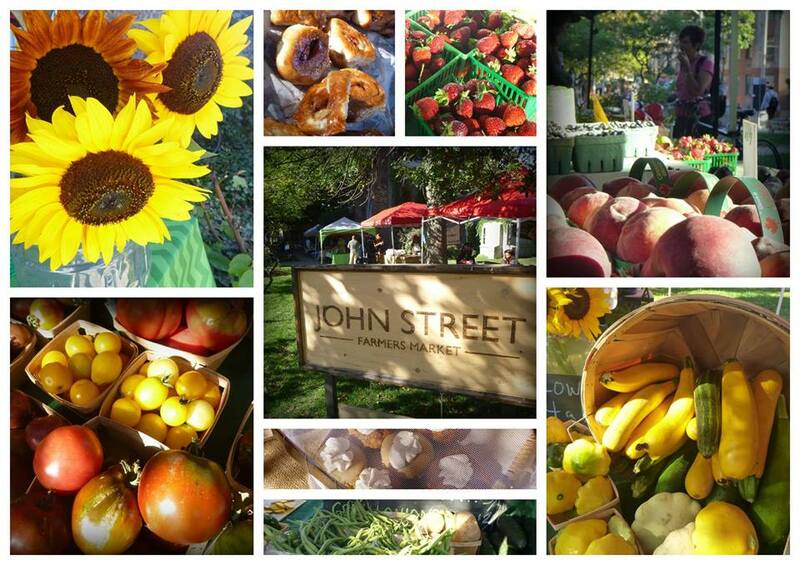 The plethora of patios, the endless ice cream options, and best of all, the farmers’ markets! Summer is a great time to take advantage of all the fresh, seasonal produce and eat well. The city of Toronto is incredible in terms of farmers’ markets, boasting well over 20 different options, that can be found in all corners of the city. Here’s a list of 5 of our favourites, that are just a hop, skip, and a streetcar away. This market runs June to October, Wednesdays from 3:30pm to 7pm. If you’re visiting the AGO or perusing the shops on Queen West then this market is the perfect addition to your leisurely day. Pick up local and sustainable products from a variety of local farmers, artisans, and merchants. 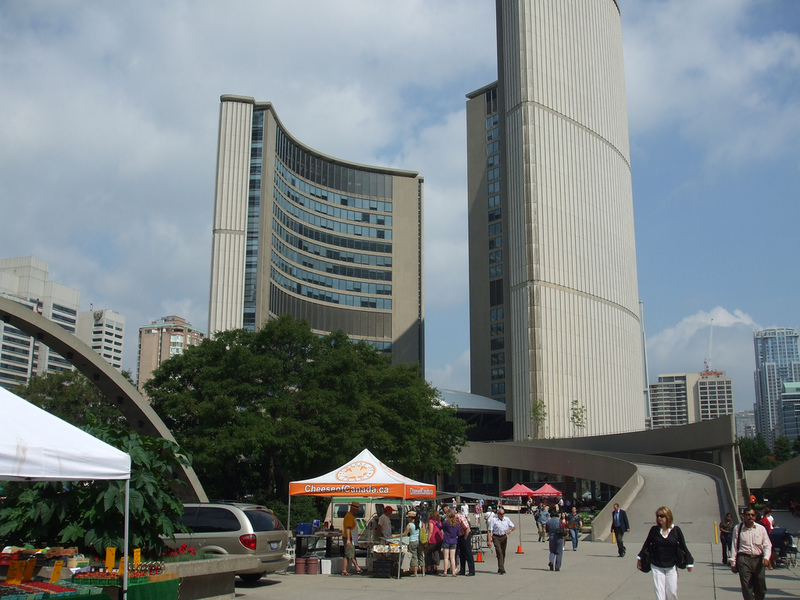 Nathan Phillips Square Farmers’ market is part of Toronto City Hall’s Fresh Wednesdays initiative. 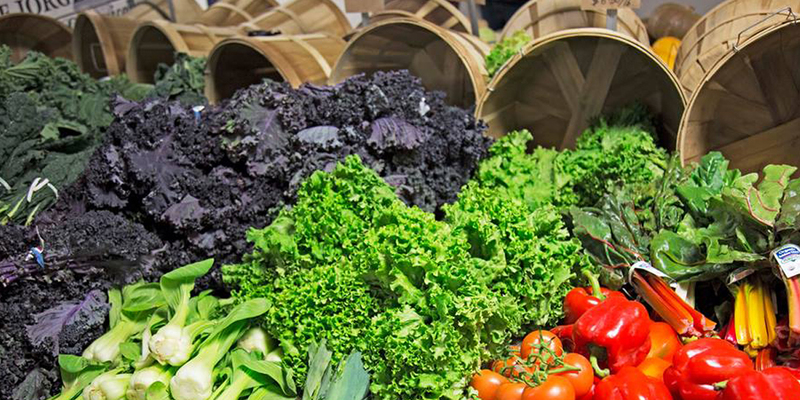 Between May and October, every Wednesday from 8am – 2pm, stop by Nathan Phillips Square and support your local farmers. Pick up fresh fruit and vegetables, quality meats and cheeses, and tasty baked treats to bring home. For something that started as a pop up, the Ryerson Farmers’ Market has grown into something much more. It now has a 22 week run between May and October, every Wednesday from 11am – 2 pm. Here you’ll find produce for sale, something tasty for lunch, and take home treats! Not only a popular spot to lay in the grass on the weekend, but also home to a well-established farmer’s market. 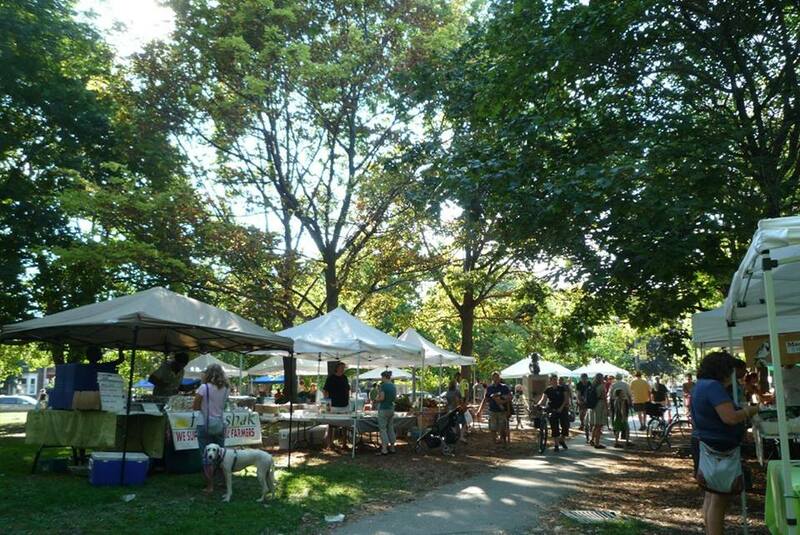 With a May to October run, you can stop by the Trinity Bellwoods Farmers’ Market every Tuesday between 3pm and 7pm. The Market’s mandate is to support fresh, local, sustainable, naturally grown, and organically certified organic agriculture, while also making it more accessible to this vibrant community. 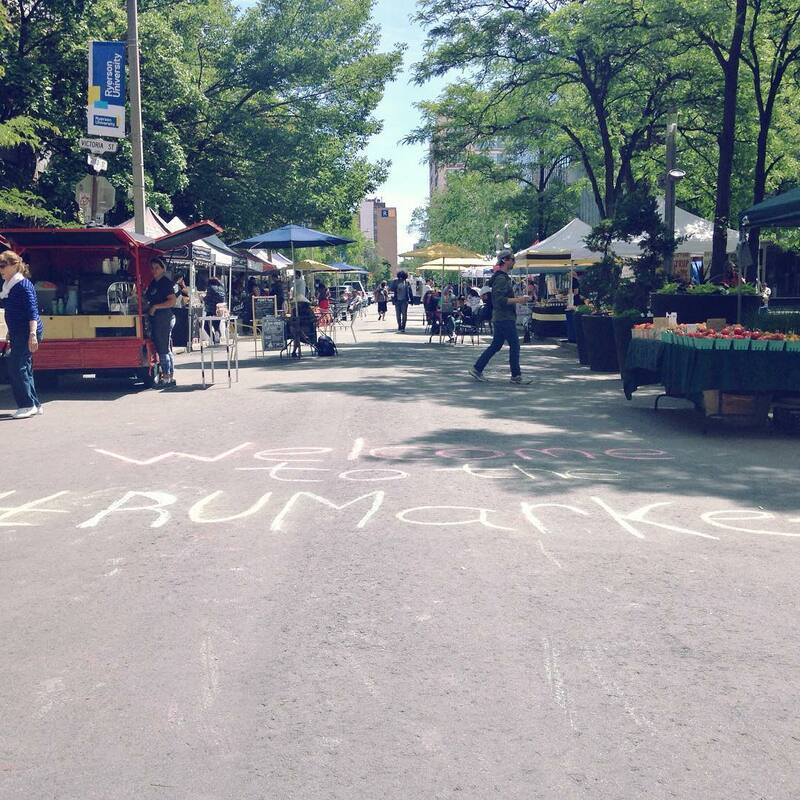 Located in heart of Toronto’s historic Old York and just outside our doorstep, this market runs year round and is without a doubt our favourite in the city (but we may be bias)! 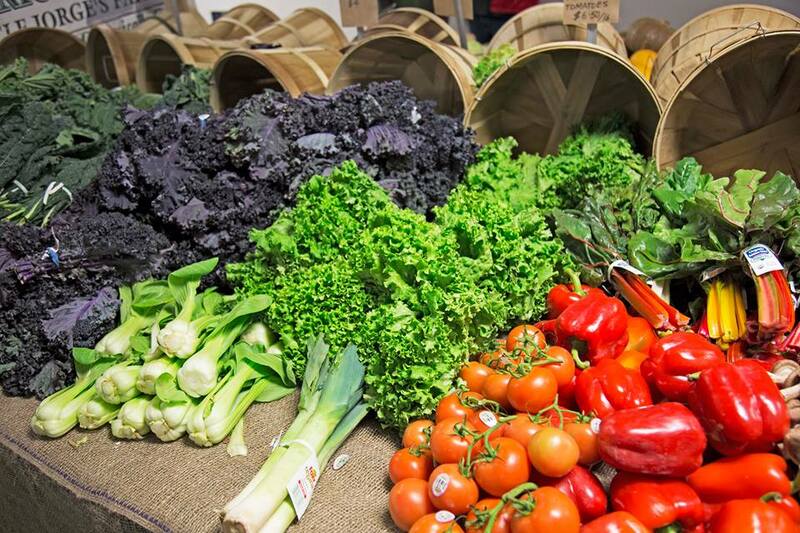 Famous for their Saturday morning, 5am to 2pm, North Market, St. Lawrence has over 120 vendors! Here you’ll find a variety of vendors offering fruit, vegetables, fish, meats and more that are known for their freshness. Grab a coffee, head to the market, and have the perfect Saturday morning.